Caretha Coleman | The Leverage Network Inc. Caretha Coleman – The Leverage Network Inc.
Caretha Coleman is Director of Dignity Health, a $16 billion healthcare system whose mission focuses on the delivery of quality healthcare to the underserved. She has significant early stage investment, organizational development, and operational experience. As a principal of Coleman Consulting, her practice focused on working with start-ups and early stage ventures in the areas of strategy development, executive coaching and organizational effectiveness – Making Organizations Work as she puts it. A respected professional in Silicon Valley, Caretha’s experience spans 35 years in the technology industry in companies such as Interval Research, a Silicon Valley Research lab and incubator, where she was the executive responsible for Corporate Administration, including the areas of Finance, Human Resources and Facilities. Prior to Interval, Caretha was EVP, with global responsibility for Human Resources at Software Publishing Corporation, where her leadership was instrumental in pioneering one of the first successful desktop computer software businesses for 10 years. Caretha began her career in the Silicon Valley companies of Hewlett Packard and Spectra Physics. Caretha is a Black Corporate Director; and an American Leadership Forum Fellow. She most recently was named as one of the Bay Area’s most Influential Women by the San Francisco Business Times; and a 2015 Outstanding Director by the Silicon Valley Business Journal. 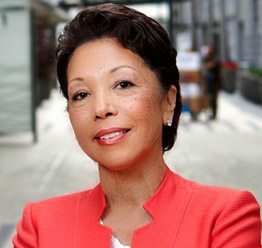 In addition, Caretha was recognized with the Black Enterprise Trailblazer award and in 2016 was nominated as a Visionary Leader in the Bay Area for her work in creating a more diverse community inside and outside of the workplace.